You see, being in love with him makes life no great mystery. 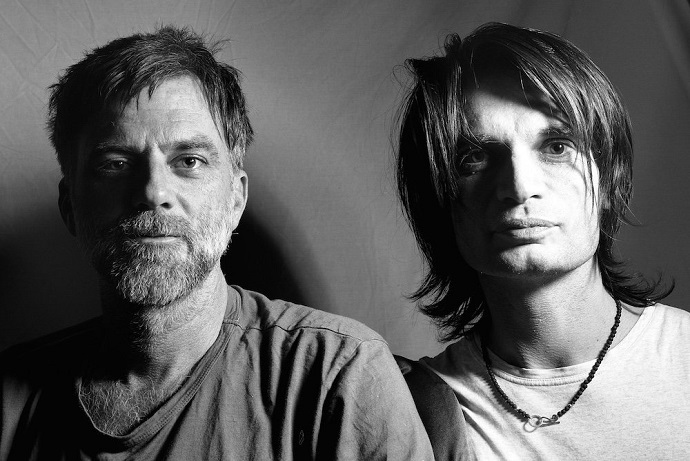 Paul Thomas Anderson has been making films for more than 20 years now, and with each film, he has carved—and consolidated—for himself a special space where he could work on artistic projects without anyone telling him what to do. He’s an artist of the highest order, and a versatile one for he has never made the same movie twice, content or style-wise. 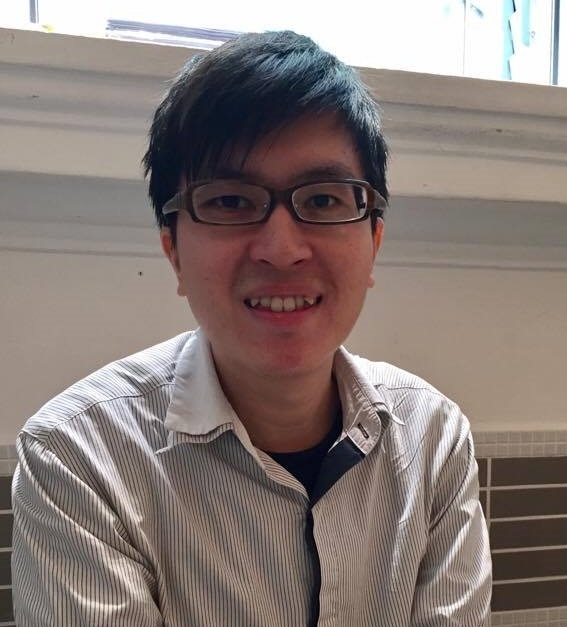 Yet his entire filmography of eight fiction features shares similar themes, in particular, the theme of obsession. 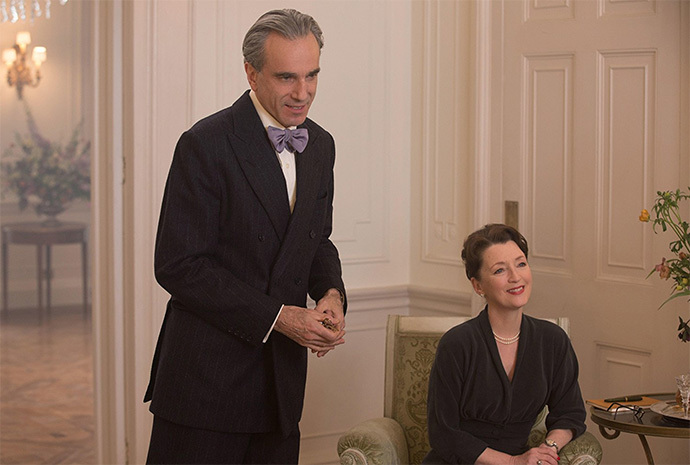 His latest, Phantom Thread, is no different, and many would agree that it is the director’s most accessible film in ages, possibly since 2002’s Punch-Drunk Love (Adam Sandler, Emily Watson). Coincidentally, both films are romances centring on a peculiar male character who has some kind of quirk, or perhaps to some, a disorder marked by heightened states of mental and emotional agitation. However, one is an exquisite period drama, while the other is a modern offbeat comedy. Adam Sandler’s Barry Egan in Punch-Drunk Love is a jittery salesman obsessed with exploiting a marketing loophole to get frequent flyer miles, and whose childlike tantrums are neutered by a woman he inadvertently meets. 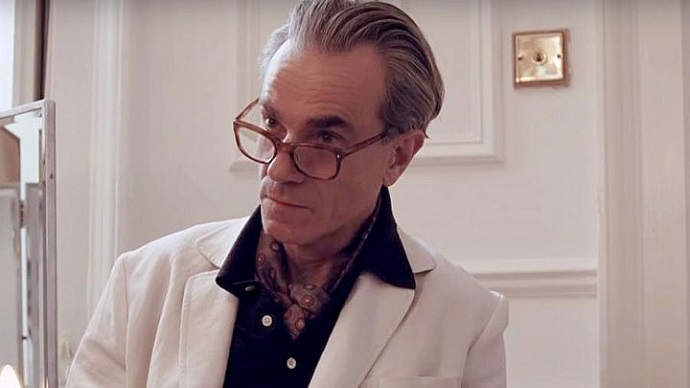 Similarly, Daniel Day-Lewis’s Reynolds Woodcock could sulk the entire day if he doesn’t start his morning right—even the light scraping sound of someone spreading butter on a slice of toasted bread annoys him. 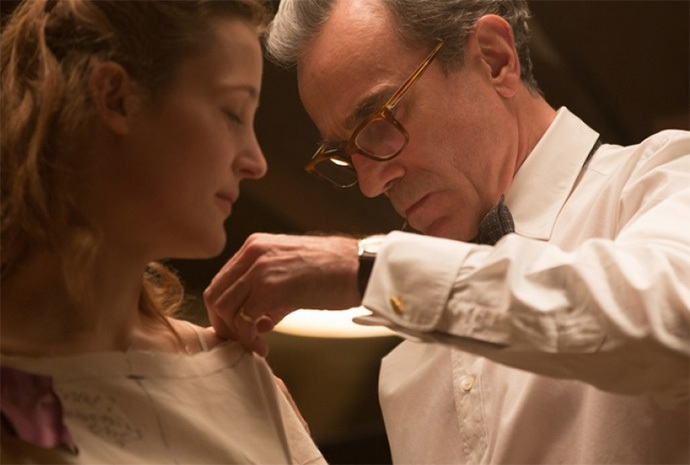 Constantly deep in thought, the fastidious and widely-respected dressmaker meets a waitress, Alma (relatively new face Vicky Krieps in a revelatory performance—much like how Katherine Waterston did so in the 2014 Inherent Vice), who shares a love-hate relationship with him that develops into something peculiar, maybe even perverse. Watching the film unfold is a joy because you never know where it would go, or how it would end. 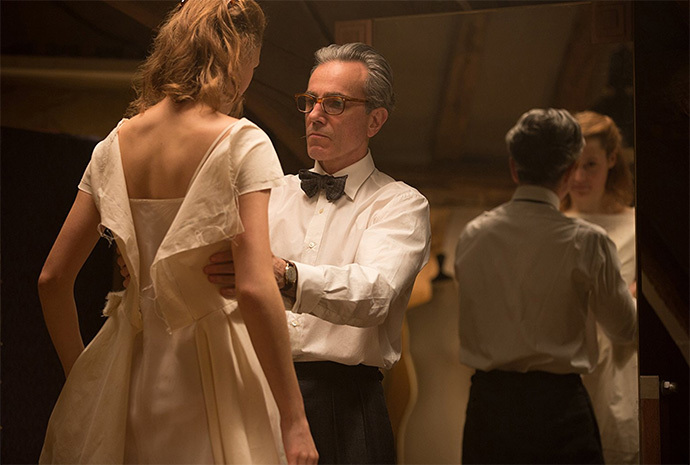 Phantom Thread works not just as a drama set in 1950s London, but also a tale of personal politics. There’s sufficiently a narrative to involve more mainstream viewers, even as it moves comfortably at its own deliberate pace. Anderson trains his camera eye on the enigmatic relationship between Reynolds and Alma, capturing the minutiae of their facial expressions and body language toward each other that reveal or signal subtle changes in mood. Shot in 35mm, the film achieves a grainy effect normally associated with the traditional format. The fact that the director himself assumed the non-credited role of director of photography (no official cinematographer was hired), is remarkable, though not unprecedented. Day-Lewis’s acting is more nuanced than his commanding turn in There Will Be Blood (2007), but it is not necessarily a lesser display. His poised performance gives us a seemingly composed exterior of a person who is deeply vulnerable inside. 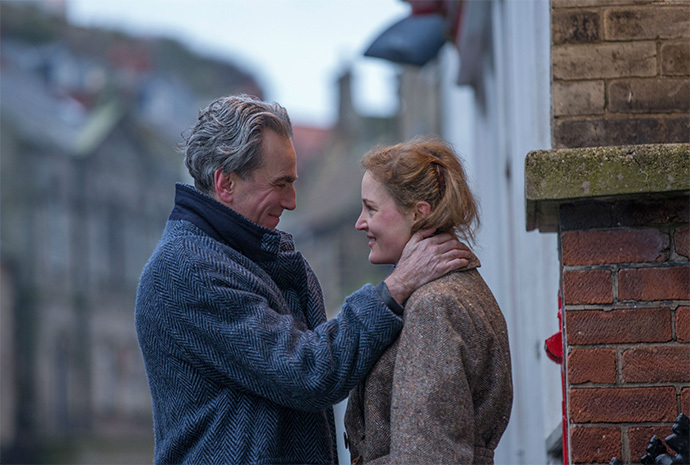 This is not so much a story of a woman who warms a man’s dispassionate heart, but rather a romance that thrives on unresolved tension. 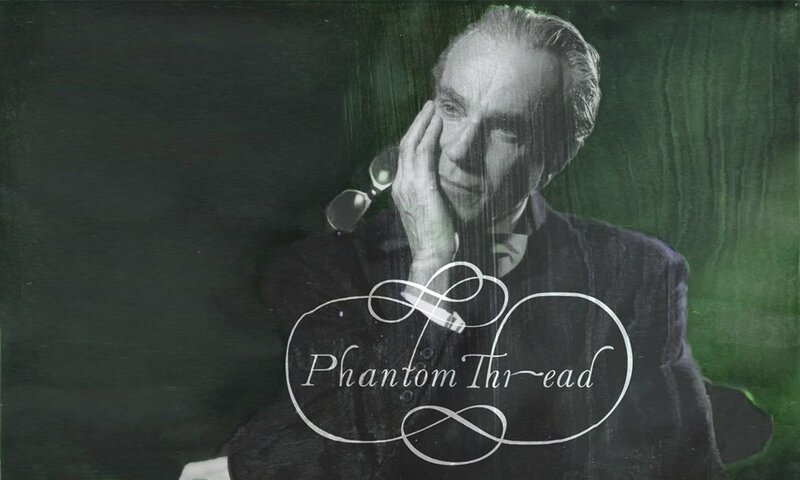 The tension of this negotiated romance is startling, and so is its release through tender moments, all weaved to a piano-and-strings score by Jonny Greenwood, who finally earns his first Oscar nomination for Best Original Score. 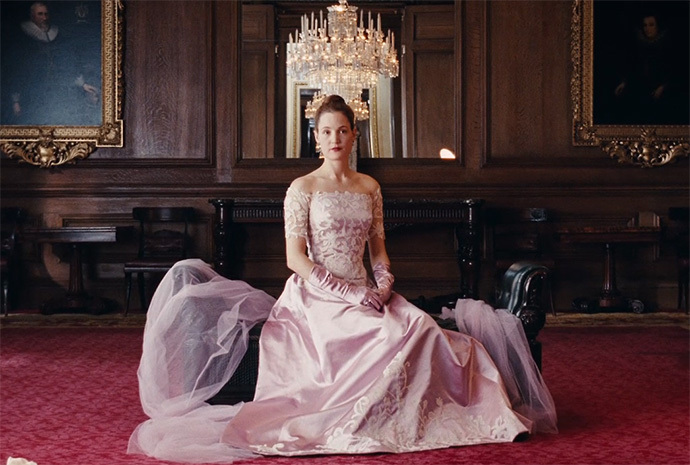 Despite being British in look, Phantom Thread’s cinematic style does harken back to old-school Classical Hollywood from Hitchcock’s Rebecca (1940)—a film that Anderson insists his own work models after—to echoes of Douglas Sirk. It combines the formal intelligence of There Will Be Blood and The Master (2012), and the idiosyncrasies of Punch-Drunk Love and Inherent Vice to create a unique experience. That’s not to say it is Anderson’s crowning glory (not quite! ), but that there’s no other filmmaker working today who makes films like P.T. Anderson. He continues to create exceptional films that are rich, textured and contained worlds—so much so that we want to believe we could exist in them. 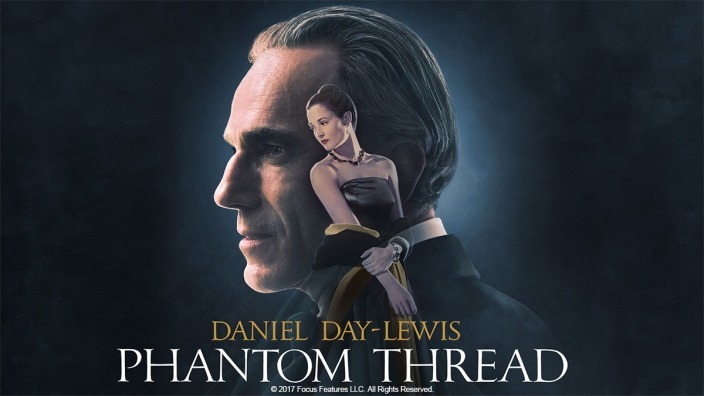 Phantom Thread was nominated for Best Picture, Best Director, Best Actor for Day-Lewis, Supporting Actress for Lesley Manville (who plays Woodcock’s sister) and of course, Best Costume Design, at the 90th Academy Awards in March. 2018 Oscar Nominations: Who’s In and Who’s Not?